Catégories - How to become Parisian in one hour ? Book your tickets for “HOW TO BECOME A PARISIAN IN ONE HOUR?” online, at the box-office or by phone. By booking directly via the Théâtre des Nouveautés website, you can select which section and which seat you want straight from the map. These rates include booking fees. If you are a student or if you want to book for a group, do not hesitate to contact us to benefit from preferential rates. Theater rental is open from Monday to Saturday from 11 am to 7 pm and Sunday from noon to 9 pm non-stop. Theater rental is not available on Sundays during scheduled breaks and the summer season. The theater’s box office is located at 24 Boulevard Poissonnière, 75009 Paris (main entrance of the theater). You can also book seats by telephone on +33 (0)1 47 70 52 76, Monday to Saturday from 11 am to 7 pm and Sunday from noon to 6 pm. When making a phone booking, please have your credit card handy as we will need the 16 digits on the front of your card. Please note that once the booking has been made, the total amount for your seats will automatically be charged to your card. Once the transaction is recorded by our services, no postponement or cancellation is possible. 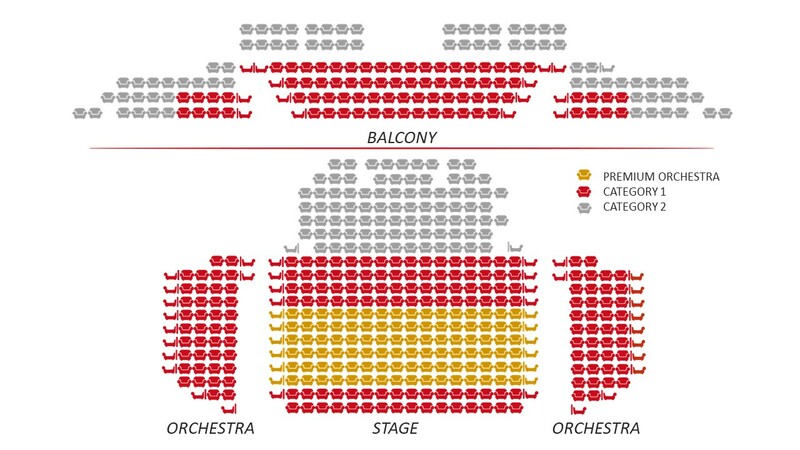 Tickets booked and paid for by telephone can only be collected on the day of the performance, approximately 30 minutes before the show starts, at the "control" desk located at the bottom of the staircase on the left.